For 26 years, Keep the Midlands Beautiful volunteers have improved areas across Central SC during the spring Great American Cleanup. 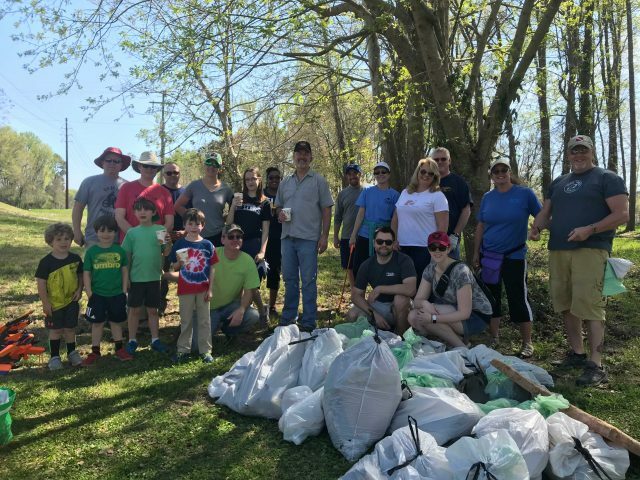 M. B. Kahn team members, family, and friends pitched in this weekend to remove 17 bags of trash and 10 bags of recyclable materials from the Senate Street Landing on the Congaree River. Kudos to volunteer captain Beth King for coordinating the event, and thanks to Jessica Blaszak, Robbie Brax, Bill Edmonds, Kendal Hall, Matt Harrell, Kynn Harris, Mike Joseph, and Chanel Wallace for their hard work. A special shout-out goes to the Tiger Scouts from Troop #37 who took part in the clean up effort!